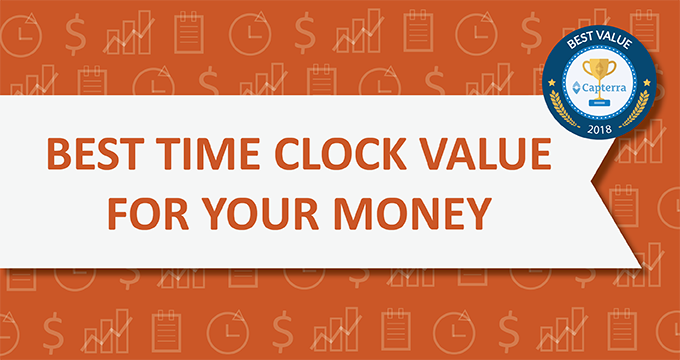 Looking for 5-star time clock software at an affordable price? Look no further. 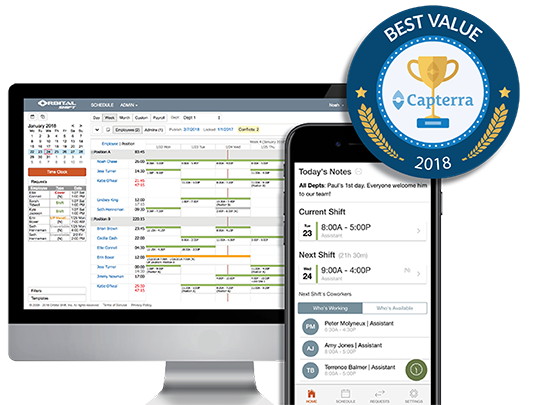 Orbital Shift received the first and only Best Value for Money badge in the Time Clock software category on Capterra, the leading software review company. If your workforce management software is costing you more than two cups of coffee for each of your employees per month - you’re paying too much. "Orbital Shift optimizes your day by taking hourly scheduling organization and management out of your hands." "It has been easy to train staff to use Orbital Shift and has increased employee engagement and productivity." "It allows my staff the ability to manage their own schedule online, easily requesting time off and getting shifts covered." Orbital Shift time clock software is used by thousands of clients in a wide range of industries to help improve labor productivity. Our online workforce management software isn’t just for large corporations. Small and medium-sized businesses can also benefit from the low-cost solutions to save time and reduce labor costs. Our scalable pricing structure takes into account the number of users in your company, which makes it affordable for small and large companies alike. Our world-class customer support is yet another reason we offer the best time clock software on the market. Our software is easy to learn with the help of online videos, tutorials, manager training sessions, an online help center and on-call support. 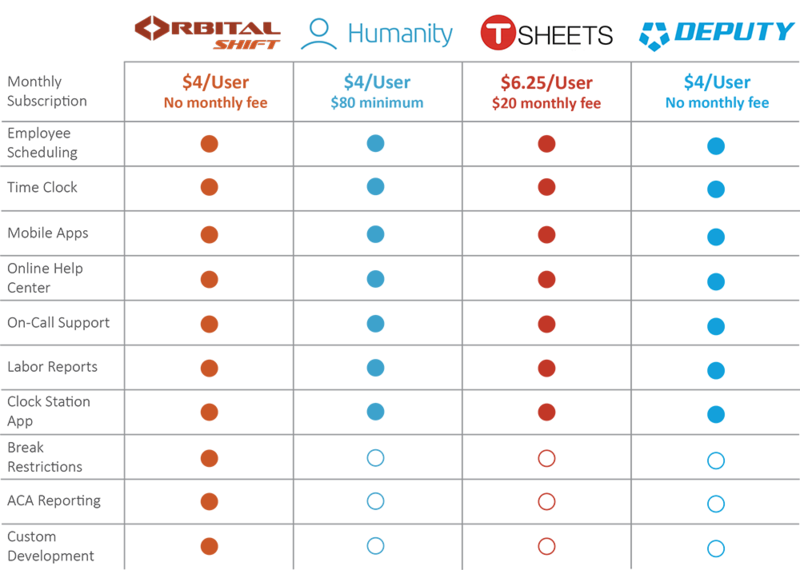 Find out for yourself what makes Orbital Shift the best online employee time tracking product. Take advantage of our no-obligation free trial offer where you can use our software for 14 days at no cost.